Sweet brown sugar with warm butter baked onto our crunchy popcorn, then showered with a mouth-watering blend of dark and milk chocolate. Yummmmm! 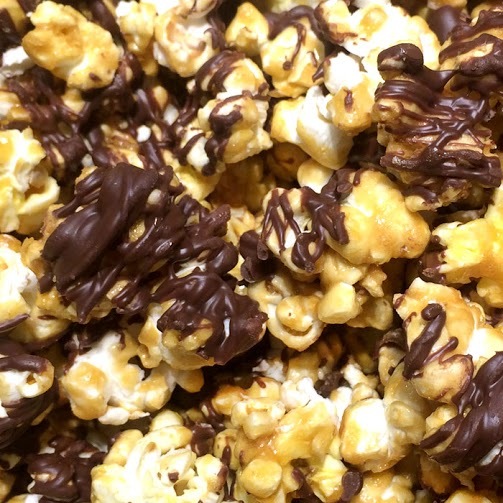 Call 712-560-6973 or email koatedkernels@hotmail.com to order our Bulk Party Bags (44 cups) Chocolate Drizzled Caramel = $30. Available for in-store pick up.